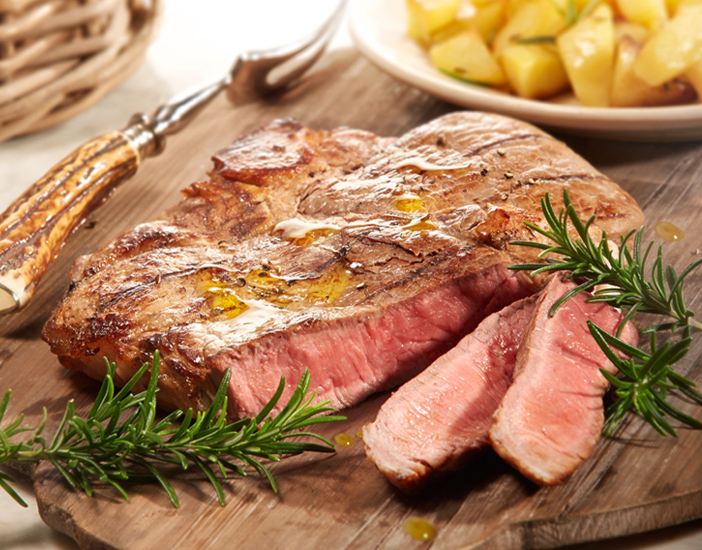 Take the steak out of the fridge about 20 minutes before cooking as this gives a better flavour and texture. Preheat a lightly oiled griddle pan for 5-8 minutes or until hot. Place the steaks onto the hot pan. Cook for about 3-4 minutes on each side for rare steaks. Remove from the heat and dust lightly with salt and freshly ground black pepper to taste. Serve immediately, with a generous drizzle of Filippo Berio Toscano Extra Virgin Olive Oil. The intense, bittersweet aromas of a succulent grilled Fiorentina go well with a punchy, tannin-rich wine packed with flavour. The perfect match would be a mature Chianti Classico DOCG. A truly regional dish from Florence where it was originally known as carbonata because the steak was cooked over coals. Tradition has it that during celebrations in the early 1800s, it was customary to distribute slices of roast beef to the population. One legend recounts that in Florence, during the festivities of San Lorenzo, a group of Anglo-Saxon aristocrats asked for “Beef steak!” and the pronunciation "Bif Steik" was transformed by the Florentines into 'Bistecca'!